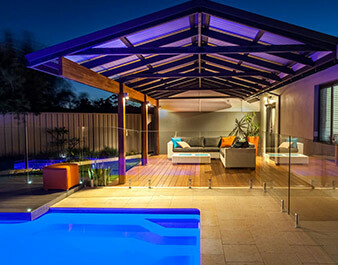 The Outback Gable patio is just one patio available in Stratco’s every popular Outback range. 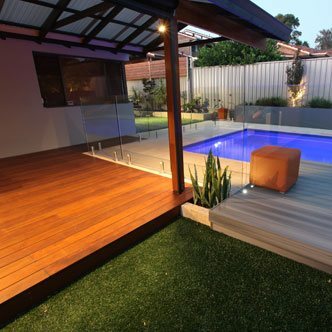 This classic, strong aesthetic is truly timeless and would be a welcome addition to most Perth patio designs. 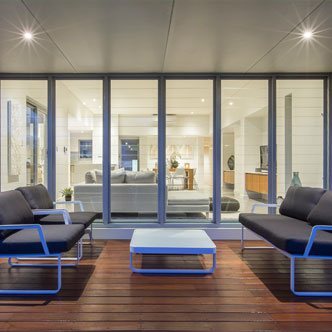 The pitched roof encourages an open feel that will enrich your outdoor entertaining area with luxury and a sense of expanse. The Gable patio can be installed as a freestanding structure, or attached to your existing home. 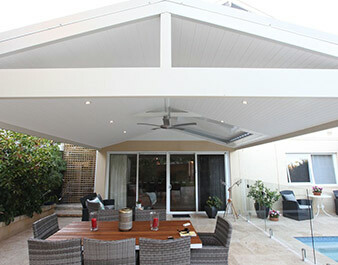 Its pitched design allows versatility and means it can be used to cover a patio, verandah, or carport. 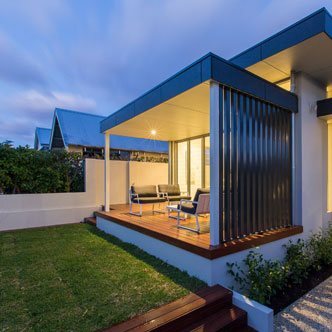 When attached to flat roof panels, the pitched roof not only embodies grandeur but also becomes the design focus point of your outdoor lifestyle. It is compatible with both Multispan and Clearspan roofing options. 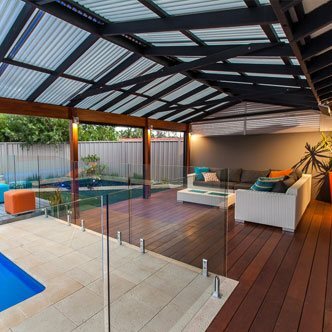 Multispan has purlins that are placed over the rafters in the roof and can support any type of cladding such as smooth Outback Deck, corrugated steel, and polycarbonate, which is particularly useful in determining and controlling the level of natural light entering your patio. Clearspan Roof lessens beams and rafters for a smooth and sophisticated ‘ceiling’ look. 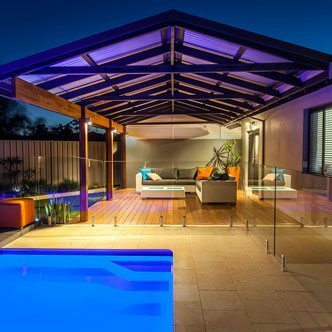 The Outback Clearspan Gable uses the Stratco exclusive Outback Deck, an extraordinarily strong roofing material that does not need additional support. The Clearspan Gable can span an impressive 7.5 metres wide, simplifying your outdoor space and offering unobstructed views. As a homeowner, it’s hard to find new ways to increase the value of your home. 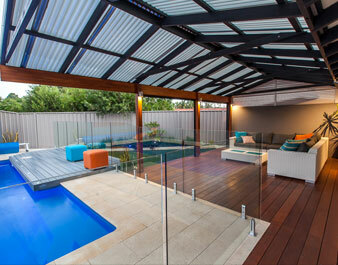 A Stratco Gable Patio customised and installed by Sustains professional team is sure to give your property an edge. 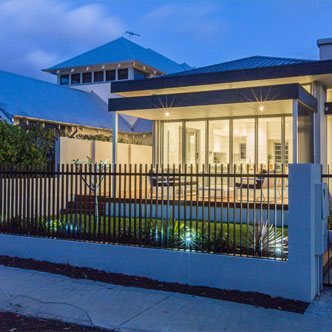 Not only does the structure look great but also is practical in terms of protecting your family from the harsh Perth weather. During the summer time you will sufficiently safeguarded from the sun and still be able to enjoy the space in winter thanks to the patios peak design that protects against rain. Never waste a summers day again! 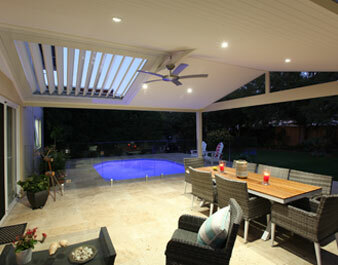 Your gable patio will have you dining, lounging, and socialising in comfort and style.